Replace beef broth with veggie broth. Leave out peppers or substitute bell peppers if you don't like it spicy. Leave out beer if you do not want alcohol. 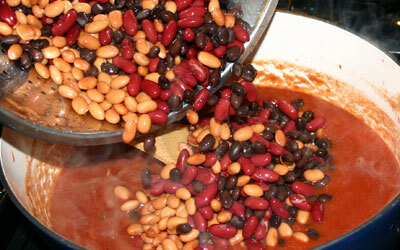 Substitute the beans with fresh beans (pre-soak them and simmer for much longer). 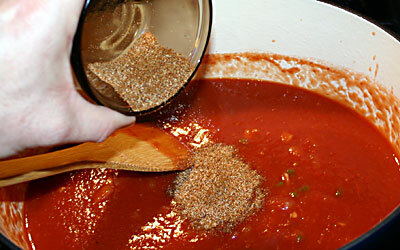 Replace the crushed tomatoes with whole, diced or even fresh tomatoes. Leave out the toppings to save calories. When you live in Texas, even if it’s Austin which isn’t anything like the rest of the state, you MUST be able to make chili. 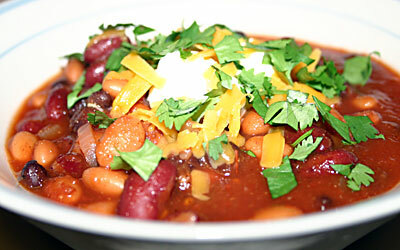 While there are many traditional meatless chilis, most people will agree that it is chock-full of some type of beef. This recipe uses three types of beans to give it some variety, no oil to make it healthier and has enough punch to make you forget that there’s no meat. 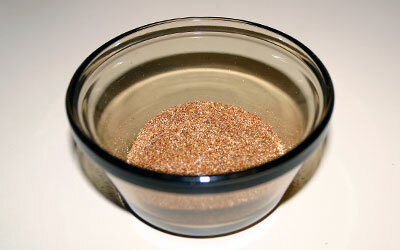 Mix the chili spice ingredients together in a small bowl and set aside. 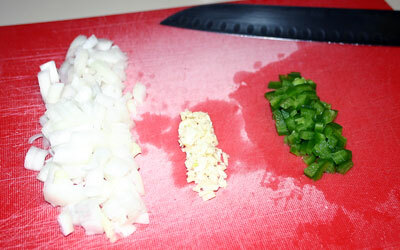 Dice onion, garlic and jalapeño / serrano and put in another small bowl. 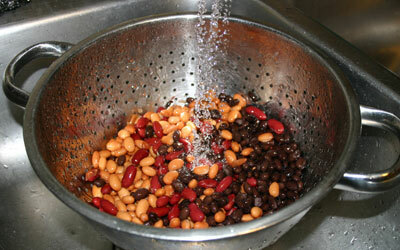 Rinse the beans in a colander until the foam disappears (less foam should equal less gas later). In a soup pot or dutch oven set to medium heat on the stove, sweat the onion, garlic and pepper in 2 tbsp water until tender (4-5 minutes). 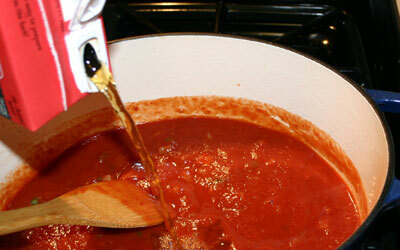 Add tomatoes and beef broth to the pot and cook for 4-5 minutes (or until it reaches a slow boil). You can raise the temperature to med/hi if you lack patience. 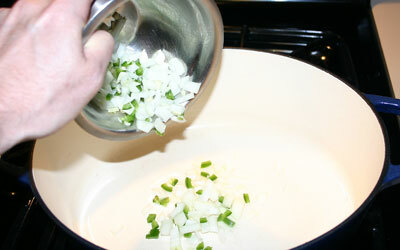 Add contents of chili spice bowl to the pot and stir to incorporate. Add beer (the choice is yours but I use Lone Star or Shiner to represent). Dispose of the remaining beer as you see fit. 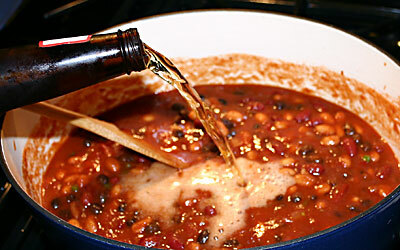 Simmer on low for 20-30 minutes (or as long as you want). Just remember to stir every 10-15 minutes or so to avoid sticking. Optionally, serve with sour cream, cilantro and shredded cheddar. I also recommend tortilla chips for dipping. *Does not include the optional sour cream, cilantro, shredded cheddar or tortilla chips.